If you have or know some young ones who might be heading back to school soon, help them celebrate! 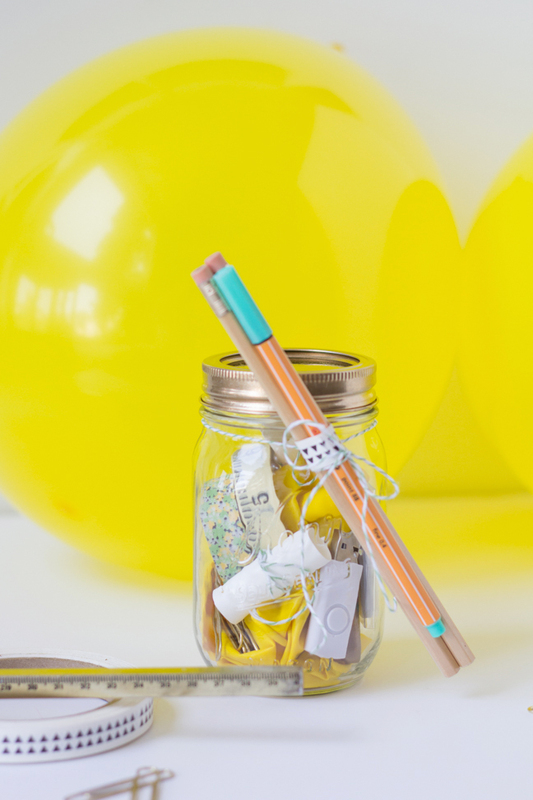 Get them pumped about the school year with this super-simple (but super-fun) party in a jar. 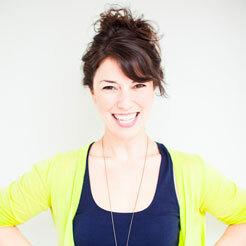 This one’s as simple as a quick trip to the office supply or craft store, so let’s get started! 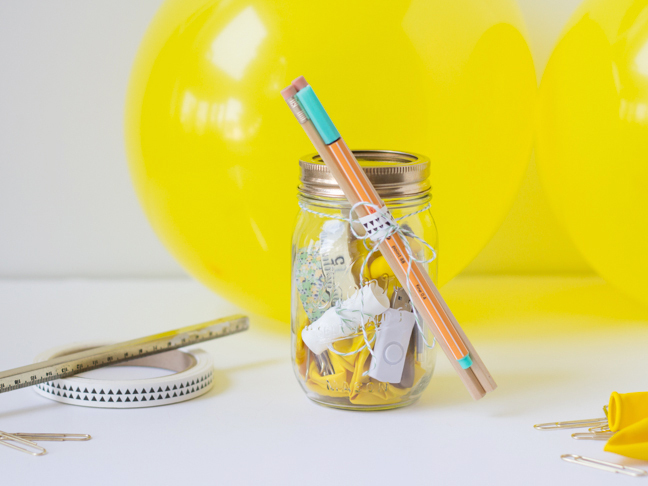 school supplies and small fun goodies! 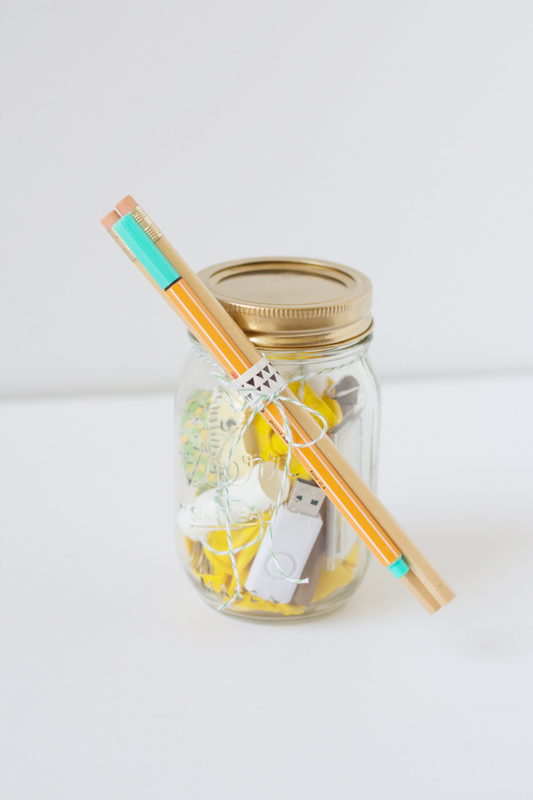 Step 1: Gather your school supplies and other fun items you’d like to stuff in your jar. It really looks fun if you color coordinate all of the materials! I went with a gold and yellow palette. Some great ideas for supplies? Sticky notes, paper clips, flash drives, scissors, tape, magnets, pushpins, and more! I added a few balloons to keep things fun. 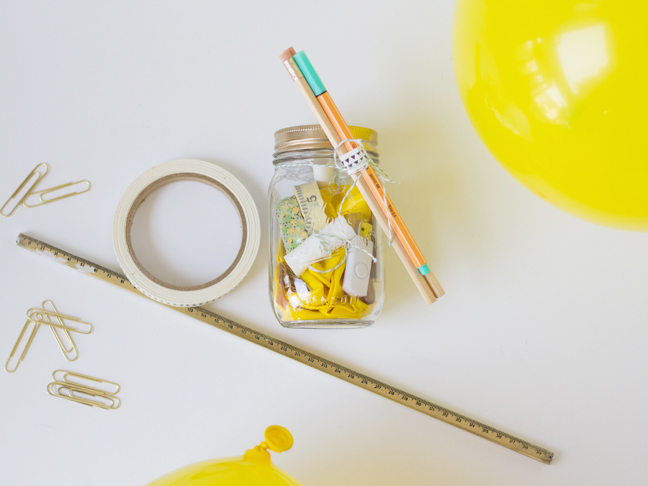 Step 2: If you’d like to decorate the outside of your jar, take the lid pieces to a well-ventilated area and spray paint them in a coordinating color to the supplies that will go in the jar. 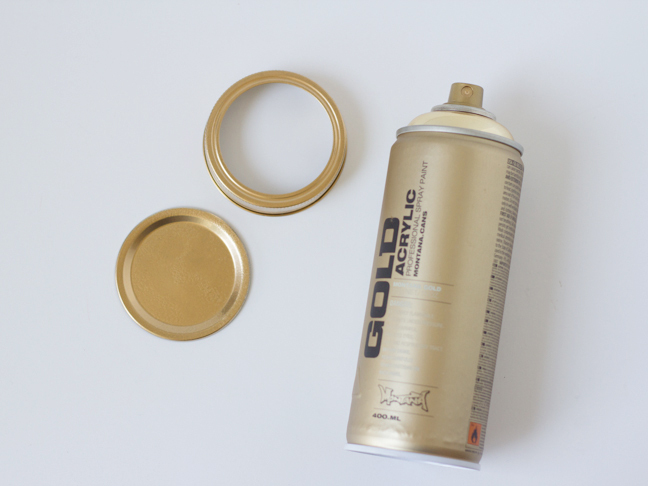 Allow the paint to dry and cure fully. 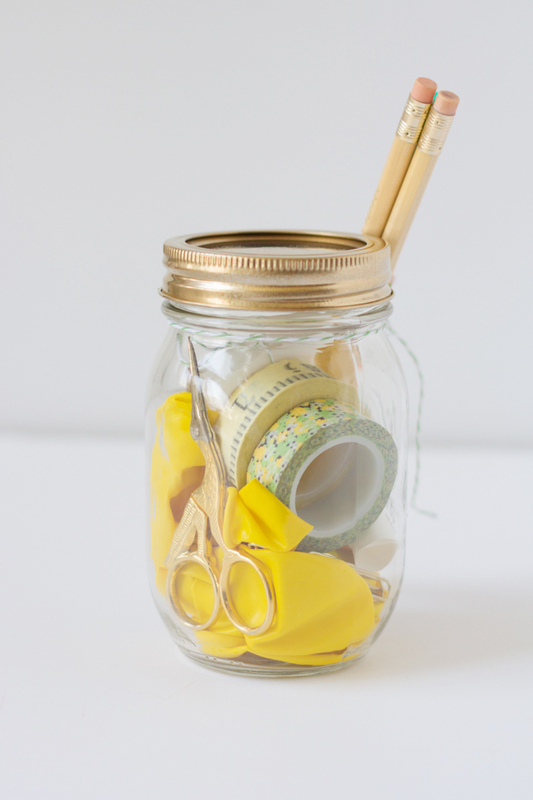 Step 3: Write a few fun notes or fortunes to include in the jar! Cut a slip of paper and write a note to the recipient. Roll the slip of paper and secure it with a bit of baker’s twine. 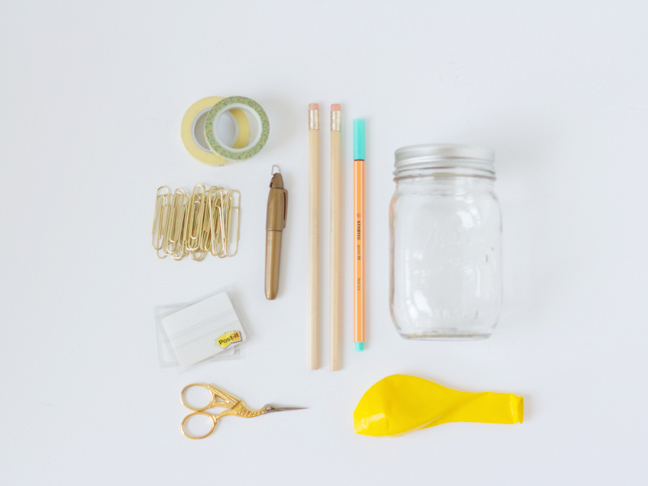 Step 4: Add all of your supplies to the jar until it’s full. 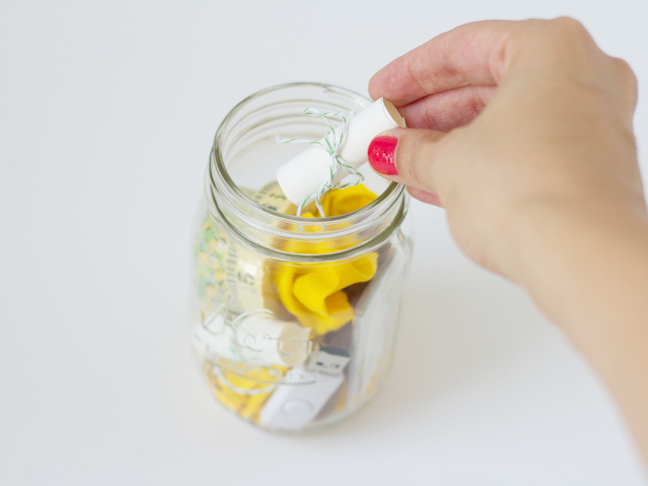 Add the lid to the jar and tie some twine on the outside. 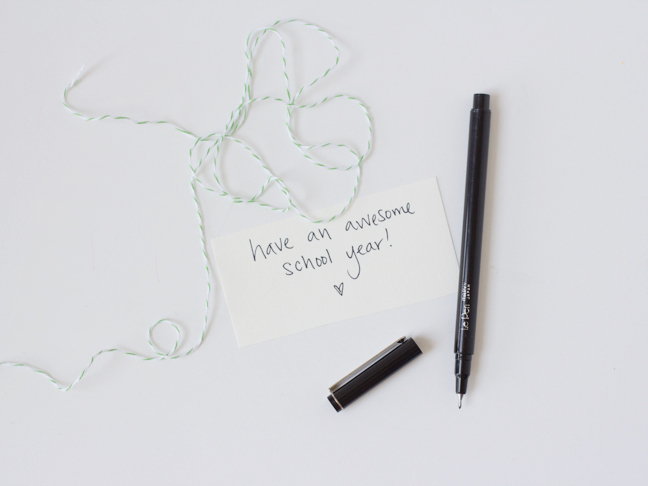 Tie a few pens and pencils in the twine and help your kids celebrate back-to-school!